Sitting along the banks of the Speed River, Guelph is a small city that is located less than one hour west of Toronto. It is a beautiful city that is known for its limestone architecture, dynamic culture and high standard of living. In fact, it has been voted as one of the country’s best cities to live in. 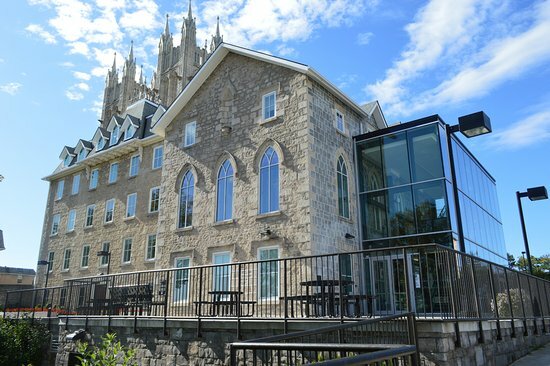 In terms of visiting Guelph, there is much to see and do in this small, yet lively city. But for some reason, it is not high on the list of places to visit in Ontario. History buffs, art lovers, adventurists and festival goers will all find things to do in the city. In 1992, around 400 volunteers built a pedestrian-only bridge over the Speed River. The bridge was built with timber in a 1800s style design and is part of the Royal Recreational Trail. The bridge is roughly 36.5 metres long and walking across it will result in some lovely scenery. It gives you the chance to see both sides of the river. The bridge is covered, so no matter what the weather is you can walk across it. It is also bicycle and wheelchair accessible. McCrae House is a small limestone cottage that was built in 1858. But what makes it so famous is that it was the childhood home of John McCrae; writer of the famous poem ‘In Flanders Fields’. Visit the cottage and learn about the life of the doctor, soldier and poet through its exhibitions. A few key items on display are John McCrae’s medals, his officer’s cap badge and a Royal Canadian Army Medical Corps button. Visit in the summer and enjoy special activities, like the Teddy Bear Picnic, Poppy Push and tea in the garden. The garden at this National Historic Site of Canada is actually award-winning. Downtown Guelph is a stunning part of the city that is filled with numerous Victorian era buildings. Explore the heart of the city and learn about its history. Wellington St. E. to the south, Norwich St. to the North, Woolwich St. to the East and Dublin St. to the west are what bound Downtown Guelph. Within this area you will see limestone architecture, heritage buildings and boutique shops. Some notable landmarks in the area include the Guelph Armoury, Guelph City Hall, St. Georges Square and Douglas Street. 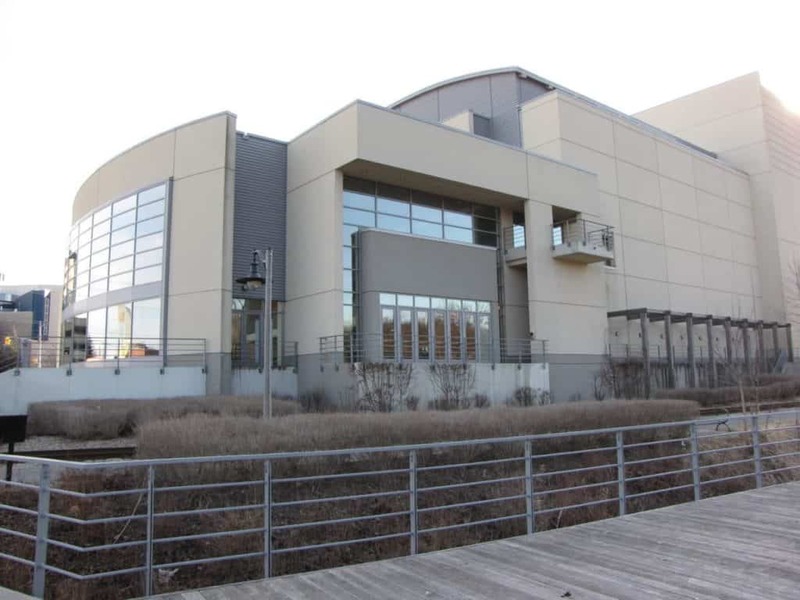 It is also home to newer buildings, like the River Run Centre and the Sleeman Centre. Right in the historic area of Downton Guelph is the magnificent Basilica of Our Lady Immaculate. This Roman Catholic basilica is known to be one of the finest works of architect Joseph Connolly. The church was built between 1875 and 1883 in Gothic Revival style. It is a beautiful building that features decorative carving and stained glass that was created by skilled craftsmen. The limestone building is a National Historic Site that can be visited any day of the week. It is just as magnificent inside as it is out, but be sure to check mass times before walking in. Visitors of all ages can learn about the city’s culture at the Guelph Civic Museum. The museum focuses on culture and natural history, and even has a children’s museum onsite. There are over 40,000 artefacts at the museum that bring the city’s past to life. Wander around the museum and learn all about its history. Photographs, furniture, decorative arts and toys are all part of the collection, most of which were donated by Guelph residents. The children’s museum portion has interactive exhibits that teach the kid’s through playing. 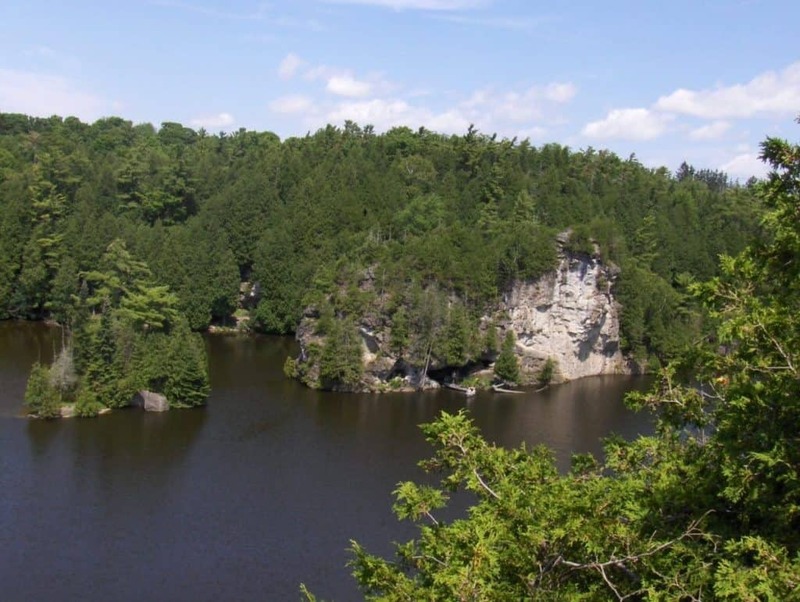 The Rockwood Conservation Area sits along the Eramosa River, surrounded by towering limestone cliffs and caves. The 32 hectare conservation area is open year round and offers plenty of activities. One of the biggest features of the conservation area is its massive glacial potholes, one of which is the largest in the world! It also has plenty of other unique geological features, like its extensive cave system and glacial bluffs that formed thousands of years ago. Camping is available from May until October, with the Rockwood Conservation Area having a total of 105 campsites. Fishing, canoeing, hiking and swimming can also be enjoyed. The Art Gallery of Guelph (AGG) has a large collection of Canadian art in its large collection, some of which is Inuit art. Stroll through the gallery’s two floors and enjoy its fantastic collection. In addition to Canadian art there is also some contemporary international artists showcased in the gallery collection of 9,000 pieces. In addition, there are exhibitions that take place throughout the year. Part of the Art Gallery of Guelph includes a sculpture park that should not be overlooked. If you are looking for unique gift to take home, head to the gallery’s shop. The Guelph Farmers Market has been running since 1827. It has since grown, and moved, and today is a lively market with anywhere from 60 to over 120 venders. The best time to visit is in the summer, when the market expands and there are the highest amount of venders. Still, it is open all year so you can always enjoy walking around and shopping for souvenirs and gifts. While at the market, be sure to taste some of the fantastic food. Venders set up to sell homemade pies and bread, authentic Turkish desserts, fresh juice, Taiwanese dumplings and Ethiopian cuisine. The Guelph Arboretum was modelled after Harvard University’s Arnold Arboretum. This arboretum is also housed in a university; the University of Guelph, and is run by the agricultural department. Wander around the 165 hectare arboretum and enjoy its collection of 1,700 different trees and shrubs. It is open year round from dawn to dusk and sees over 73,000 visitors per year. A few key features of the Guelph Arboretum is its beautiful Frances Ball Rose Collection, the 400 species of trees in its World of Trees area and the G. Porter Memorial Japanese Garden. There is also an English garden onsite. Being a city rich in culture results in plenty of festivals, something that Guelph has become quite known for. These can be anything from music festivals to multicultural festivals. There is even a Pride week! If you are an art lover, you will not want to miss the Fab 5; the Guelph Contemporary Dance Festival, Guelph Jazz Festival, Eden Mills Writers Festival, Hillside and the Guelph Film Festival. These are also the top 5 festivals in the city. There are also numerous others, including the Guelph Multicultural Festival and the Fergus Scottish Festival & Highland Games. No matter what time of year you visit Guelph, there is sure to be a festival to enjoy. The Donkey Sanctuary of Canada has been running since 1992 as a refuge for neglected or abused donkeys and mules. Visit the sanctuary and get up close to the animals living there. The sanctuary sits on a tranquil piece of land that has become a safe haven for these animals. Meet, brush and feed the donkeys, or watch a demonstration on their care. You can also go to a talk to learn more about the donkeys and their history. Unfortunately the Donkey Sanctuary of Canada is not open every day. Visit any Sunday from May to November or on Wednesdays in July and August. Cool off on a hot day at Emerald Lake Waterpark, which is just 30 minutes south of Guelph. The waterpark is open all summer from 10am to 7:30pm. The waterpark features a 61 metre waterslide that will throw you into a 1.2 metre pool. There is also a splash pad that is over 1,000 square metres, complete with water-guns and sprinklers. Another great feature at the Emerald Lake Waterpark is the massive quarry that boasts trampolines, a rock climbing wall, an obstacle course and a diving area. Well, not to an actual lecture, but a visit to Guelph would not be complete without wandering around the University of Guelph campus. This is one of the country’s top universities; home to the Ontario Veterinary College and the Ontario Agricultural College. Although the university was only established in 1964, there are plenty of historic buildings right on its campus. These include the War Memorial Hall, Creelman Hall and Day Hall. It is a lovely campus that is filled with trees and red clay brick walkways. Wander around the campus and admire its stunning outdoor scenery and magnificent architecture. The River Run Centre is a performing arts centre right in the heart of the city. The centre opened in 1997 and has been offering performing arts shows ever since. If you are a music, drama, comedy or dance lover, be sure to enjoy a show at the centre. There is always something going on at the River Run Centre and tickets are pretty easy to get. There is also the Ed Video Media Arts Centre, which focuses on video art. It is the only artist-run centre in the city, though contributors and exhibitors have come from all over the world. Guelph has everything from fine dining to pub grub, so there is something for everyone here. Regardless, you will not be disappointed, as Guelph has some delicious food. There are ethnic treats like Thai, Indian, Greek, Vietnamese and Mediterranean cuisine. There are also vegan and vegetarian establishments. If you are looking for a breakfast fry-up, you will find it here amongst the fine dining French, Italian and eclectic bistros. There are also casual restaurants that are great for families and pubs where you can grab a pint with your meal.